Five things to do when planning a party ""
Planning your party like a pro can help you be present in the party and engage with your guests rather than being stuck in the kitchen. Invite – Make the list first. Invitations should be sent 3 weeks ahead. Send 20% more than you expect since only 70-80% make actually come. Neighbors need to be notified at least 3 days ahead of the party day. 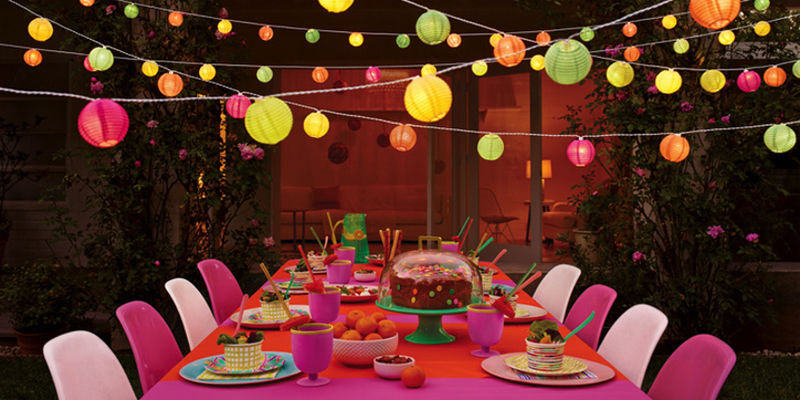 Theme – Decide on the theme, if you want a theme, well in advance and ensure you get all the decorations weeks ahead of the party. Prepare the menu and a music list that goes well with your theme. If you want to arrange flowers for the party, then do so a day before or early on the day of the party. Clean- Collect all the china and cutlery you need to use for the party cleaned at least 2 weeks ahead. Make sure you clean the house thoroughly – get professional help, if you must. Check all the supplies in the house. A day before the party set up clean-up stations or garbage pails at strategic locations. Give a final once-over to your home a day before to make sure everything is clean and in its place. Cook – once the menu is decided, do a trial run or a taste-testing well in advance of the party. Get all the groceries you will need a week prior to the party. Display – on the final day, display all the food on a table 2 hours before guests arrive, making sure they are wrapped tightly to maintain freshness. Place chairs and finalize the place for coats. Greet guest as they arrive, mingle, and be a part of your party – after all that planning, you deserve the fun!